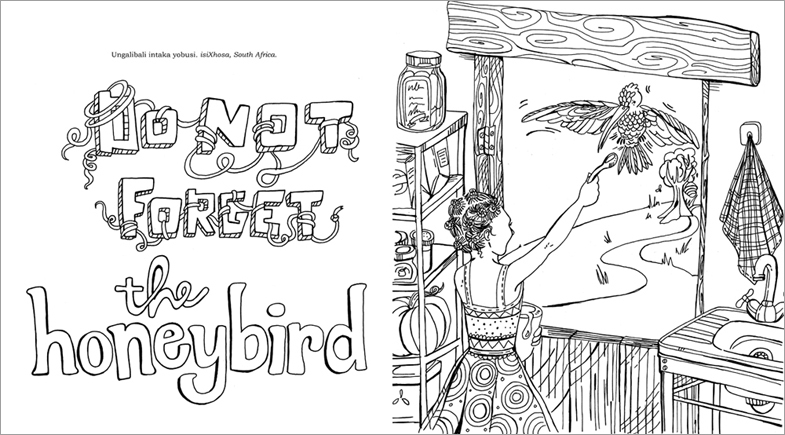 Colour Africa Proverbs is a colouring book for children, with illustrated proverbs from African culture, spanning 11 African countries and 10 languages. The proverbs are based on valuable and universal truths like respect, compassion and teamwork, represented through illustrations and illustrated type, and explained at the end of the book in simple actionable terms. 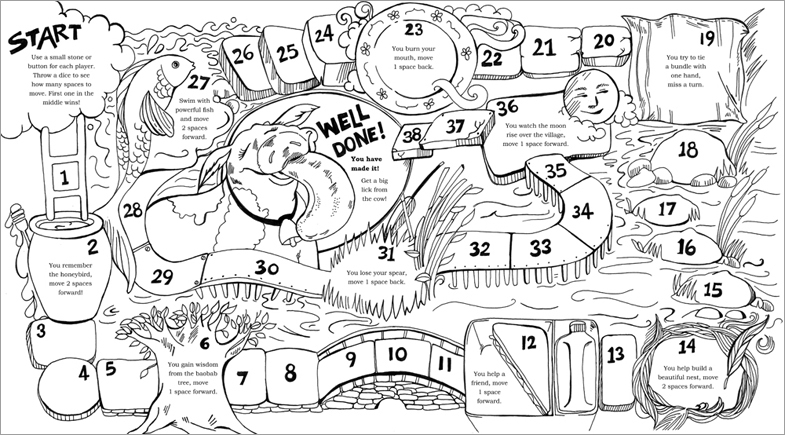 A game in the middle of the book uses the themes of the proverbs in an engaging format. The book is locally produced in South Africa, using recycled paper and minimal packaging. 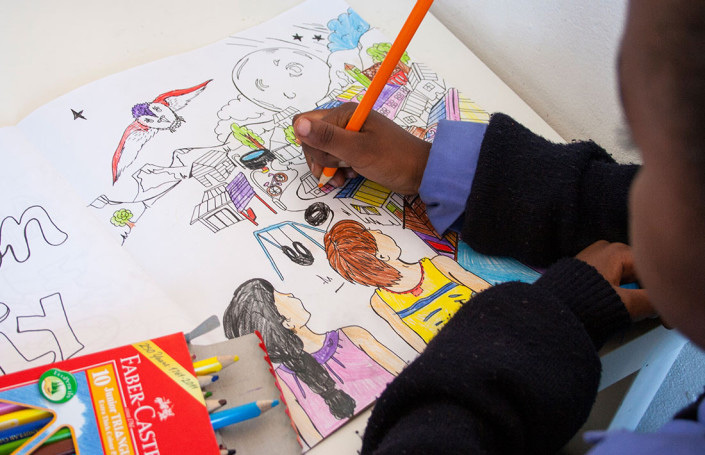 The book was created by Colour Africa, a division of Design for Development in Cape Town, who describe themselves as, “We are a group of graphic designers who share a passion for people and realising human rights. We want to use our skills, creativity and connections to make a positive impact on people’s lives.” Through their work they support civil society organisations, corporate social responsibility initiatives, individuals and government projects and create impactful visual communication. 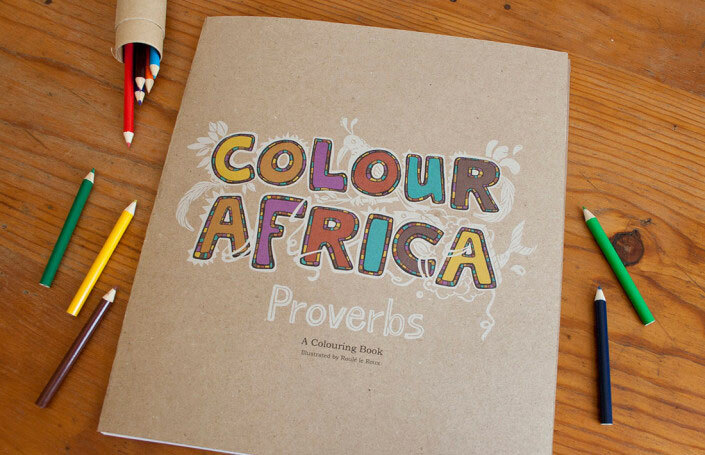 The Colour Africa Proverbs book emerged as a side project of its members and has gone on to become a well-loved activity book for children. With locally relevant content and meaning, the book provides a comforting learning environment for children, especially in under-resourced schools, creches and trauma centres. Colour Africa Proverbs is wonderful both on account of the content it delivers and the manner in which the experience is structured. 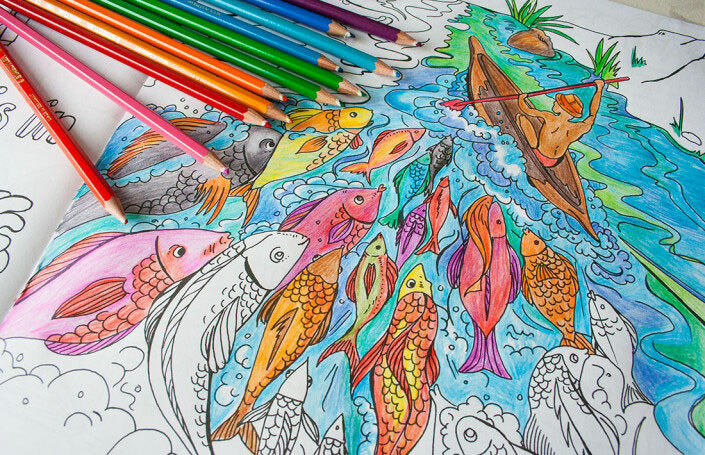 It connects the children with an aspect of their culture which is relevant for life, and the activity-oriented experience fosters a closer engagement across a longer span of time with the content. You can order copies of the book as single items or in value packs from their website, and also purchase copies for donation to the Earthchild Project, a local education-based organisation. All images via Colour Africa Proverbs and Design for Development.